The French call it Pamplemousse, you will call it divine! This invigorating blend of pure dead sea salts and organic grapefruit essential oil will have you saying "C'est si bon". 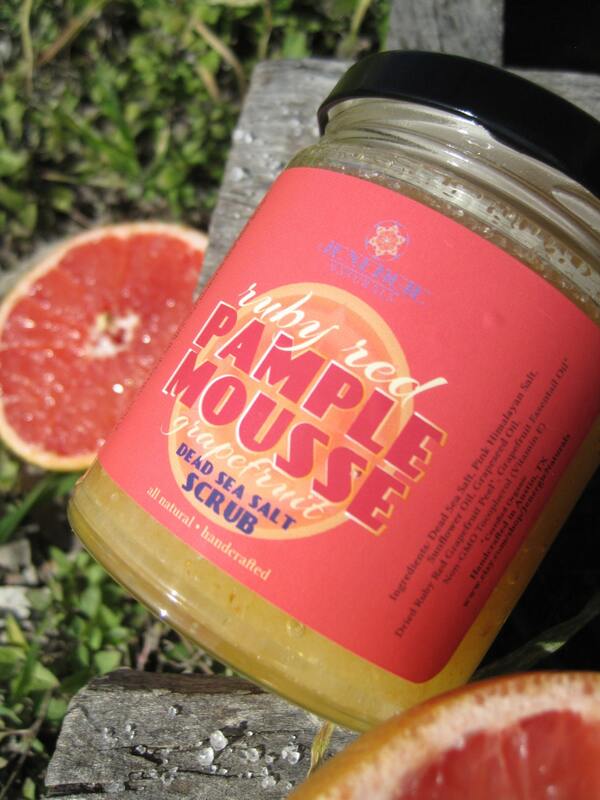 Included in this delectably scented formula are organic fresh dried grapefruit peels and lightly moisturizing Sunflower seed and Grapeseed oils. 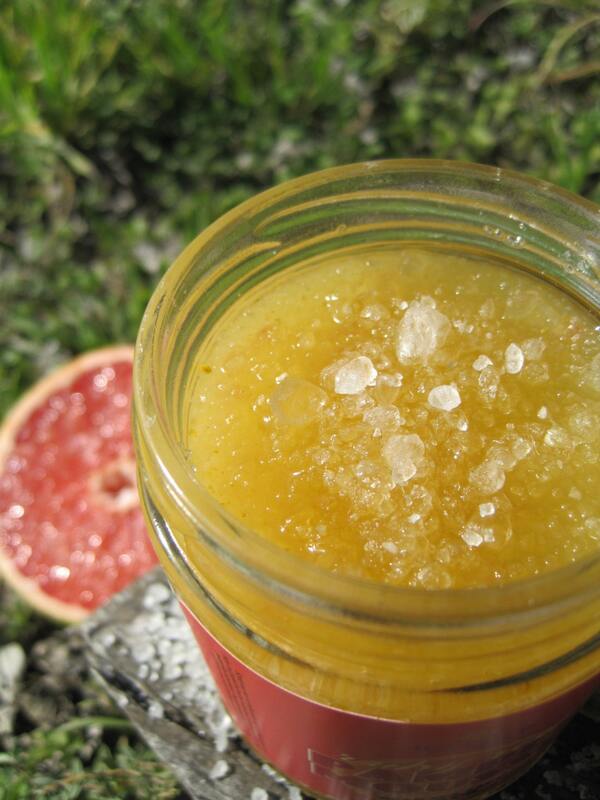 Along with smelling simply wonderful, grapefruit is excellent for stimulating your lymphatic system and rejuvenating aging or under-nourished skin. It has proven properties to relieve tension, encourage immunity and supply vital Vitamin C to battle free radicals and is effective in protecting the body from all harm done by various oxidants and toxins, including premature aging. Dead Sea Salts are full of trace minerals, and scrubbing with these treasured salts allows your skin to absorb minerals necessary for healthy skin metabolism such as magnesium, potassium, calcium chloride and bromides. Magnesium, a wonder for relieving muscle tension and calcium, a vital nutrient for healthy skin, bone and hair. Both are also beneficial for reducing water retention. Potassium aids in replenishing the body of minerals and electrolytes lost during a good workout via the skin. ****As with any skincare product, please test first on a small area for any sensitivities.